The Inlandia Institute offers creative writing workshops for children, teens and adults in various locations throughout the Inland Empire. Workshops are now free! However, a suggested donation of $25 per session is recommended in order to support the workshops program and registration is required. Email cati.porter@inlandiainstitute.org for further information. We have held workshops in locations serving most of the Inland Empire: San Bernardino, Corona, Idyllwild, Ontario, Palm Springs, & Riverside. For current dates, times, and locations, please email Inlandia@InlandiaInstitute.org or go back to the front page and view the events calendar. Select the “Creative Writing Workshops” category for dates, times, and locations. To register for a workshop, please click here. The goal of Inlandia’s Creative Writing Workshops Program is to support creative expression and encourage emerging writers who live, work or write about Inland Southern California. Writers participate in workshops for a number of reasons, some practical and some esoteric. We want honest but constructive criticism of our work by intelligent readers and listeners, we crave the fellowship of like-minded artists, we need an occasional push toward completing a piece of writing, we seek stimulus to stir our imaginations and we require reassurance that our hard work is not in vain. We also hope that the workshop leader will lead us to appropriate markets for our work. Inlandia workshops provide some or all of the above to their various participants. The Inlandia Institute annually produces a Creative Writing Showcase of the creative work generated out the workshops and publishes the works of the participants in an anthology. Participation in either or both is optional. We hope you will want to take advantages of these opportunities to promote and celebrate your work. 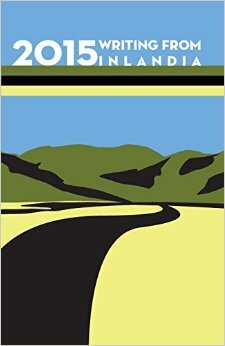 Writing from Inlandia is the annual publication celebrating the participants of Inlandia’s Creative Writing Workshops. Workshop participants are diverse in age, gender, culture, and writing experience. Any registered participant is invited to submit work produced in the workshops for the annual anthology. Workshop participants are afforded the possibility of having work they created during the workshop included in Writing From Inlandia, the annual anthology of work generated by the Inlandia Creative Writing Workshops participants, released each year. If you are a current workshop participant and would like to submit work for the annual anthology, please read carefully. Only unpublished works created in an Inlandia Creative Writing Workshop during the course of the year under publication will be accepted. For our purposes, any work, including work on blogs that is accessible by a search engine on the web, is considered published. The workshop year runs from September to August. Registered participants in the Inlandia Creative Writing Workshops for the current workshop year are invited to submit their original work. Submitted work should have received feedback from the workshop leader and other participants in the workshop, as well as been revised for excellence. Participants may submit 1 to 5 poems (any style, any length), and/or 2 pieces of creative nonfiction (essay, memoir) and/or 2 pieces of fiction (short story, novel excerpt, flash fiction), not to exceed 10 pages total of combined submitted material. Simultaneous submissions are fine but please notify the Inlandia Institute promptly if work is accepted elsewhere. Space may be limited and editors may not be able to include all works submitted by each participant. Every effort will be made to include at least one eligible piece from each submitting participant. Works must be in final copy-edited form and in 12 point Times New Roman font. Poetry should be single-spaced and prose double-spaced with 1-inch margins. As a contributor, you will be entitled to one complimentary copy of the anthology, with others available for purchase at the regular retail price, currently $15. All submissions must be received no later than two months prior to the publication date for that year. Writers will be given an opportunity for final review of an electronic draft of their work prior to printing. The deadline for their final corrections will be tight and must be strictly adhered to. Decisions of the committee are final. If you have any questions, please contact the Inlandia Institute at (951) 790 2458. By submitting your work you are giving your consent to publication. Inlandia acquires one-time non-exclusive North American Serial Rights and the right to use excerpts of your work for the Institute’s promotional purposes and in funding proposals and reports. By your submission, you are also agreeing to have your work, if nominated, published in the Inlandia Institute’s online literary journal, Inlandia: A Literary Journey, as a Creative Writing Workshops Feature. All rights revert to the author upon publication. Inlandia reserves the right to decline to publish works submitted, although every effort will be made to include at least one piece by each eligible registered workshop participant. If you agree to all of the above terms, please proceed to the online submissions page. Or, alternatively, if you wish to participate in the workshop but do not wish to have your work published by the Inlandia Institute, please copy and paste the following statement into an email, insert your name between the brackets, and send it to editor@inlandiajournal.org. I, [____________________________], waive the opportunity to have my work published in the Writing From Inlandia annual anthology and/or in the Inlandia Institute’s on-line literary journal, Inlandia: A Literary Journey, as well as any other potential form of publication offered by the Inlandia Institute. Click here to sign up for our Event Email Announcements. If you are interested in participating in (or developing) a workshop near you please email cati.porter@inlandiainstitute.org. I am interested in more information about the Palm Springs workshops. When are they offered. How do you register? I am a published fiction writer. My main genre is the short story. Hi! My name is Brenda Dunkelman. I have participated in the library group meeting in the past and found it very informative as to what others were writing. There were very interesting pieces from all who attended over the weeks I attended. I want to attend again so send me more info please! I am now living in Chino, so Riverside is not too far. Thank you Ruth Nolan for allowing me into the mix the last time and I look forward to joining the group again! So glad you enjoyed the workshop! The official Inlandia workshops are currently on hiatus for the summer, but if you are interested I believe Ruth is running a separate, independent workshop beginning soon and running through August. I will forward your contact info to her so she can let you know the particulars, and thanks for your interest! Come to the Corona workshop, Brenda. We meet every other Tuesday from 6 to 8 pm at the Corona Library. Our next meeting is Tuesday, September 24th. I’m interested in joining either the Idyllwild or the Palm Springs workshops. How do I go about doing tso? I have an MFA in fiction and have published short stories in national magazines. I would love to find out more about attending the Palm Springs workshops, too! Thanks very much. Riba. We will be starting up again mid-January. I’ll be posting the updated info as soon as I have it and will forward your info to Maureen, the workshop leader for that area. Thanks! Oh, great! I’ll look forward to hearing. My email, if that helps: riba11@earthlink.net. I’m a case manager currently looking for a creative writing class for one of my clients. I’m located in the rancho cucamonga/ Ontario area… Is there anyway you can forward me the contact information? Thanks for getting in touch. I have just forwarded to you the information about the upcoming workshops, via email. my name is Gertraud. I have moved from Austria to California to live here with my husband. We are both published writers and would love to take part in a writer’s workshop in Riverside. There is always something to learn from others in the same field, and it would be great to be able to exchange thoughts. Please let me know if there is another course in Riverside. I am very sorry that I missed the workshop with Ruth Nolan, I discovered it only when it was too late. Thursdays, January 26, February 9, 23, March 8 and 22, 2012, 6:30 to 8:30 P.M. I will send this to you via email as well. I would love to participate in something like this. I’ve always wanted people like me who love to write and enjoy reading the work of others in the same space. I live in upland ca. I hope there will be workshops near me. Our Ontario workshop is actually not too far from you – it is held at 119 W. Transit St., right off of Euclid Avenue. If you’re interested I can send you more information, and thank you for contacting us! Are there any upcoming workshops for children in any location? I have a ten year old son. Thank you. I would like to attend a workshop in ontario on Nov 7. Hey there, I’m interested in possibly starting up a new workshop group in Claremont. I’d love to hear more about your experience doing this, and find out if there’s any interest. Thanks! We are interested and writing workshops for our 13 year old son in or near Riverside. Hello, I’m interested in the workshops for my daughter, she’s 11 and LOVES writing. I would like her/us to attend a workshop held in San Bernardino. I saw that there is one that is going to begin this coming May 5th. However, I’m unsure if it would be age appropriate for her. Could you please provide me with some information on the workshop or point me in the right direction for a workshop that would be best suited for us? That’s wonderful that your daughter loves to write. Right now, our San Bernardino workshops are coming to a close for the season, and are geared for adults. However, I’m putting something together for the summer for youth. If you’re interested in joining our email list, you’ll get notices about when those workshops are scheduled for. Let me know if you’d like to be added!